Historic Fourth & Gill serves an excellent example of the neighborhoods that flourished in Knoxville during the last quarter of the 19th Century. This time was the period of the city's greatest economic boom which was fueled by manufacturing and the railroads. The railroads also helped Knoxville become one of the leading wholesale centers in the South. These economic successes were based primarily on the notions of unrestrained capitalism and urban growth. Known as New South Urbanization, this ideology encouraged such things as urban transit, better public facilities, and the concept of suburbia. Fourth & Gill's unique architecture and distinctive urban design are significant to understanding Knoxville's historical and architectural evolution. The architectural styles seen in the Fourth &Gill Historic Overlay District serve as a reliable representation of the residential architecture popular in America between the 1880s and the 1940s. The southern portion of the district was primarily developed in the late 19th Century, and the north section in the 20th Century. The district is irregularly shaped and covers approximately 72 acres. The area included in the Fourth & Gill Historic Overlay District includes buildings centered on the 700 block of Morgan Street, Deery Street, and Luttrell Street to three parcels south of the old Brownlow Elementary School (now Brownlow Lofts), Eleanor Street (beginning at East Fourth Avenue), and the cross streets of Third Avenue, Lovenia Avenue, Gill Avenue, Caswell Avenue, Haynes Place, Wells Avenue and Camp Avenue. The area also contains a cluster of seven buildings north of Gill Avenue on North Fourth Avenue. The Fourth & Gill Historic Overlay District features over 280 residential structures, including single family houses, duplexes, and apartment buildings. 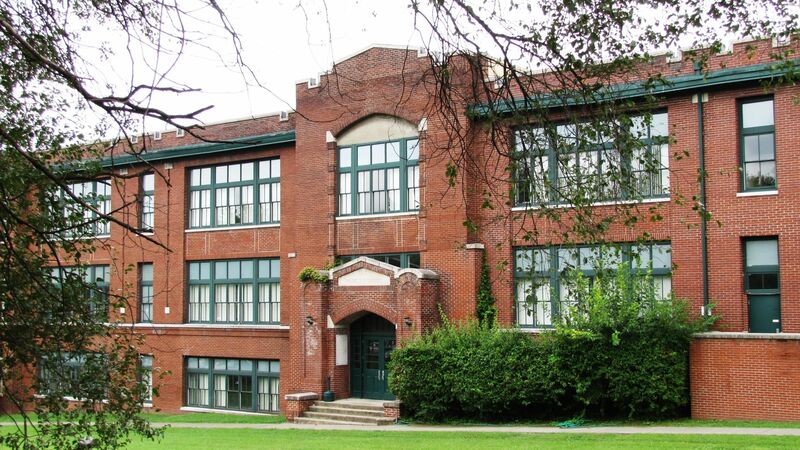 The district also contains one school (now Brownlow Lofts) and three churches. The houses are primarily of frame construction with large porches and complex roof lines. Most of the masonry veneer and load bearing construction occurred in the 20th Century. 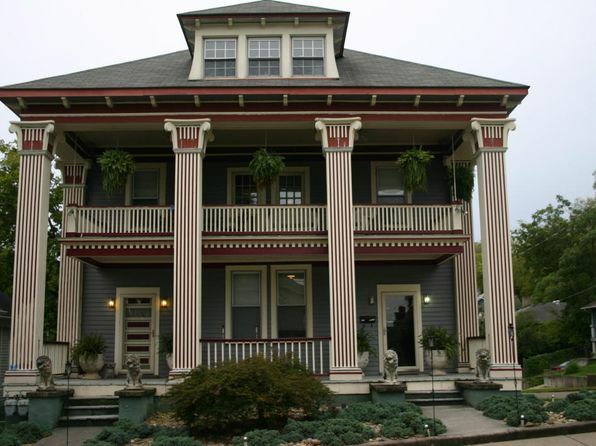 Although a number of different styles exist in the Fourth and Gill Historic Overlay District, the majority are Queen Anne and Craftsmen styles. Some of Knoxville's most notable architects, including George F. Barber and Joseph Bauman. Bauman designed several houses for his extended family, and Lovenia Street is named for one of his sisters. Several Queen Anne houses in the Fourth & Gill Historic Overlay District are attributed to Barber, who gained national fame through his mail-order designs. Other houses reflect the influence of the area's Appalachian culture, as well as new design ideas from the post World War I era. Overall, the size, styles, and lot placement of the houses within the district reflect the diversity of the neighborhood. Historically, a varied group of people lived in the area; professionals and laborers, families and transients, blacks and white, all living in close proximity to one another. The neighborhood was home to merchants, mayors, and a governor, Robert L. Taylor. 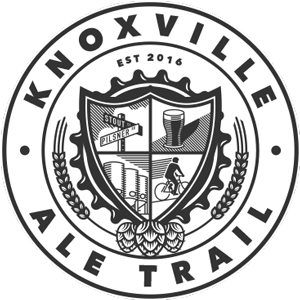 Knoxville annexed the City of North Knoxville in 1897, around the time of the invention of the automobile. With the decline of the American and Knoxville economy, in the late 1920s and 1930s, many of the larger, single family residences were converted to duplexes to supplement the income of the property's owner. The real decline of the neighborhood began in force after World War II when returning soldiers and their families sought new lifestyles in the brand new, auto-oriented suburbs. More single family residences were converted into multiple units or small apartments, in part to meet the demands of the growing student body of the University of Tennessee. The Historic Fourth + Gill Tour of Homes provides the opportunity for guests of all ages to stroll through one of Knoxville's premier historical districts and to step inside several neighborhood homes, a condominium inside the recently renovated Brownlow School Lofts, and the stately Central United Methodist Church, one of the city's most beautiful examples of Gothic Revival architecture. Our regularly scheduled Neighborhood Board Meetings take place on the 3rd Monday of each month at 6:30pm. We meet at the Neighborhood Center located at the intersection of Fourth + Gill. All meetings are published on the listserv, Facebook and all are welcome to attend. Please email the board if you wish to add an item to the agenda. Standing committees within the neighborhood organization include Parks + Beautification, Codes + Zoning, Communications, Social, and Welcome. In addition to the standing committees, the neighborhood also has an ad hoc Neighborhood Center Committee. Please feel free to make suggestions for improving our neighborhood. Updated: 25th April, 2019 8:31 AM.